On Wednesday, we ran a competition to win some collectors items from the DDH single release, signed by Limahl and Jez. The materials we sent out were in strictly limited numbers, made even more collectable being signed by the band members. We asked two questions, which proved to be tougher than we thought! Firstly, we asked which record label did Limahl sign to but never release under, after leaving EMI. The correct answer to this was Arista. This should have been rather easy as Limahl had talked about this in the interview he gave to John Barnes from BBC Radio, featured on this site very recently as part of the DDH promo. Secondly, we asked what make of drum kit was played by Jez in the ‘Too Shy’ video. The correct answer to this was Simmons. Simmons are easily identifiable by those extremely cool hexagonal pads, used so heavily in the early 80s. We had a bit of a discrepancy given that the bass drum he used was made by ‘Premier’. This did cause some entrants to state that the kit was made by ‘Premier’ and we’ve decided to allow this as a valid answer given that he was in fairness, using ‘Premier’ also. So, with the aid of a random number generator to select, we have our three lucky winners. The first prize is the press pack which features a signed promo CD, signed flyer and press release. 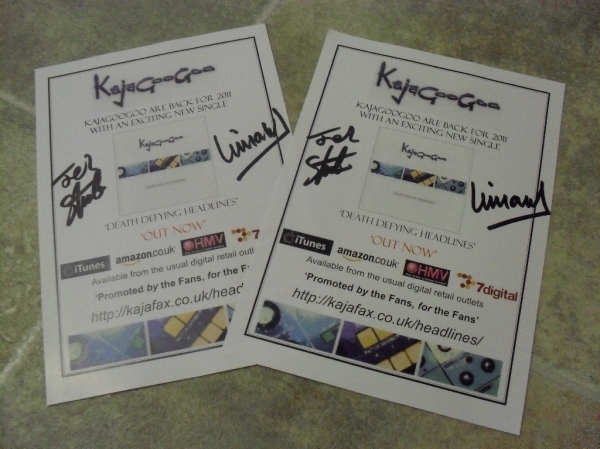 We have two additional prizes of a signed flyer to giveaway, both of course signed by Limahl and Jez. Congratulations to the winners, you’ll be contacted by email to arrange delivery of your prize. 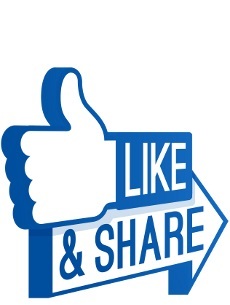 A big thanks to everyone elsewho took the time to enter, better luck next time. This competition concludes our work with the ‘Death Defying Headlines’ single. We hope you all enjoyed being part of the promo as much as we did.